Meridian Place is adding Rex Dry Cleaners another established local business to its initial list of retailers and restaurants. 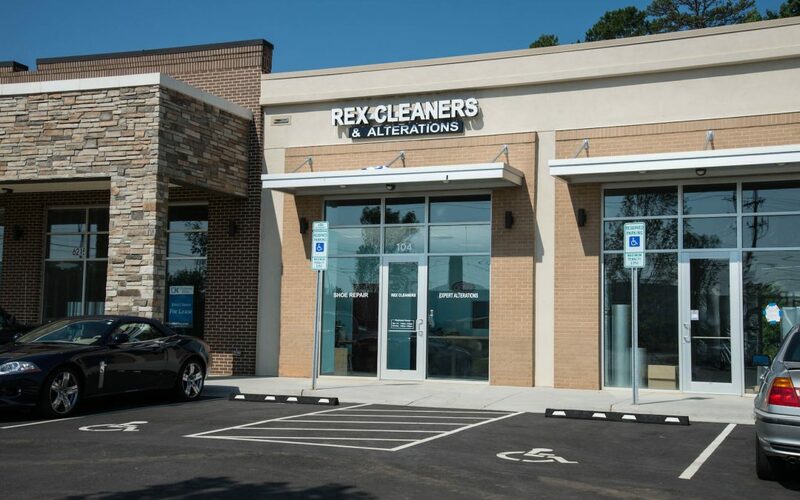 Rex Cleaners owned by Charlotte native Stephen Mo will provide alterations and shoe repair as it does in its original location on Park Road near Park Road Shopping Center. “We are thrilled to add a reputable local business like Rex that serve the needs of the MoRa community,” said Roy Goode developer of Meridian Place. Rex is expected to open its !400 Square foot facility early this summer and will join Hawthorne’s NY Pizza as part of Meridian Place’s first multi-tenant building. Rex was represented in the lease transaction by William Haygood of Argos while the developer was represented by Susan Clements of Childress Klein Properties. Clements and Childress Klein report great interest in Meridian Place in addition to that of Rex and Hawthorne’s and expect to make more tenant announcements in the coming months with the retail building nearing completion.